Almost half of the Locus Wine Club members showed up with friends and better halves over the weekend (March 17 and 18) to taste the wines from the library and to get a taste of wines to come in the next 24-36 months…. Of course, with 12 or 13 food pairings to try with each wine. The library wines were the 2013 Locus Rosé – looking and tasting like a Bandol-style rosé now that the years have piled on it, 2014 Locus Sémillon which tasted as fresh as the day it was released but a little bit more rounded and dare we say somewhat smoky, somehow. Also from the past: 2012 Locus StoneTree Syrah was the first wine we ever made. From the future: Wine club-only 2017 Locus Garage Series Rosé (only 25 cases produced), 2015 Locus Cabernet Franc, 2015 Locus Syrah from Keller Vineyards. Although it was not in the plans, we may have poured the new 2016 Locus Modo Red. Let’s just say there were a lot of bottles. 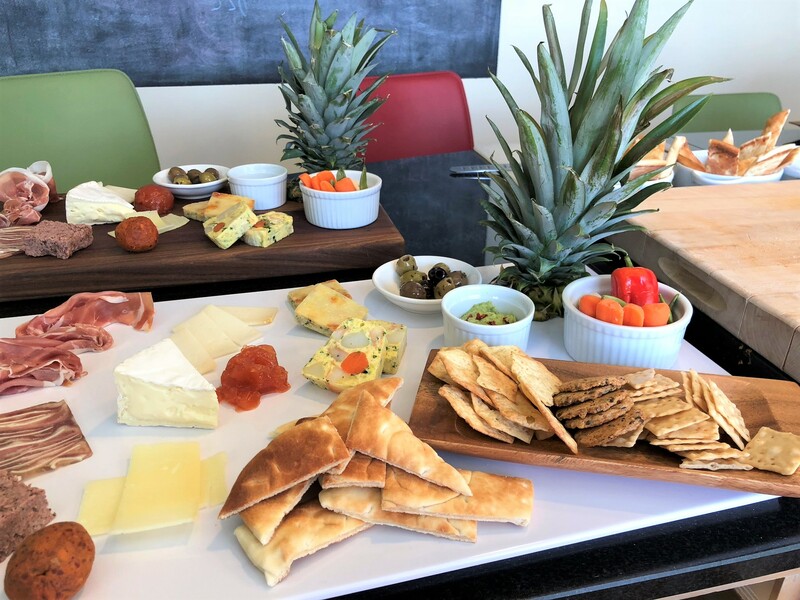 As for the bites, the offerings varied from wild (headcheese, spreadable sausage) to mild (pork, paté, pea & mint hummus, Mediterranean seafood terrine) to standard (cheeses, quince jam, olives, pickles) – most of them house-made by our resident culinarian/co-proprietor. Next up for wine club events (for Stalker and Sociuspath levels only) is the blending trials just like we did last June: Wine club members and their guests get barrel samples from each wine we made the previous year. Then they use pipets to make blends of their choosing. It is an opportunity for wine club members to get a better appreciation as to where the fruit flavor come from, which wine they can use to add body to a lend, which wine makes the blend more acidic, etc. Basically, doing our job for us. We feed them in return. It is not technically a competition but usually a few wine club members win. This entry was posted in News and tagged locus keller syrah, locus semillon, locus wine club, locus wine club event, Modo red, socius, socius wine club by tonski715. Bookmark the permalink.